1 piece in a shrink bag, 12 pieces per carton. 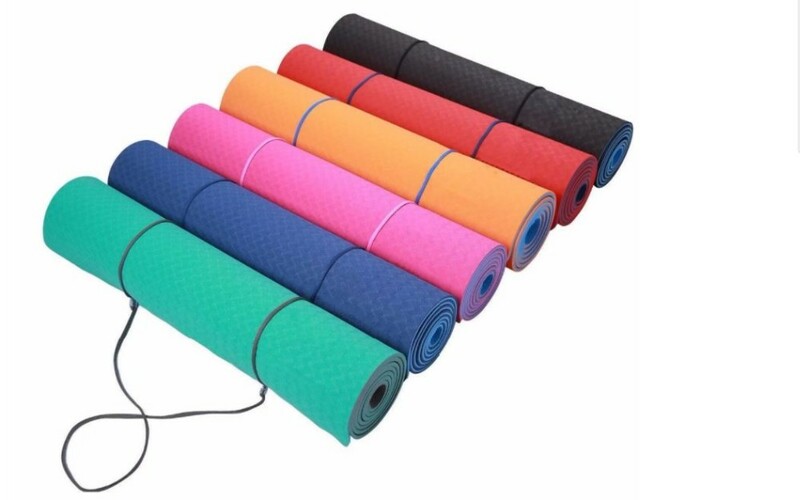 To make customers more intuitive understanding of our yoga mat , we provide samples for free!!! 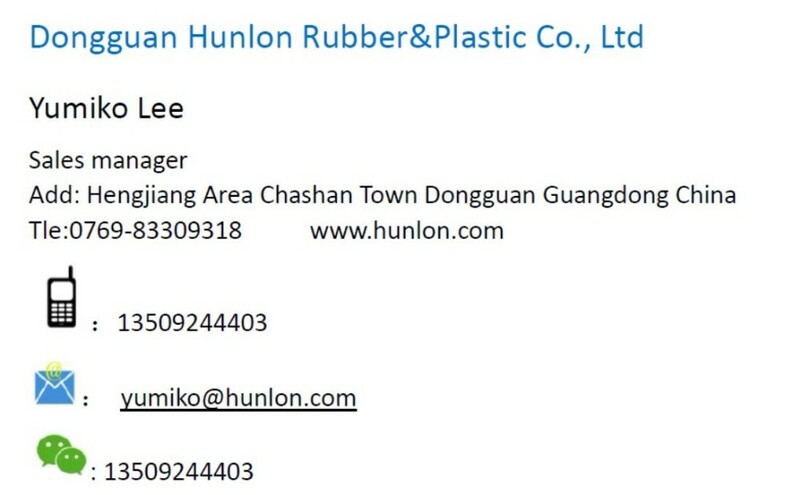 Please send message and put your company name, address, website address, phone number, email and contact person ( like business card stickers are better). 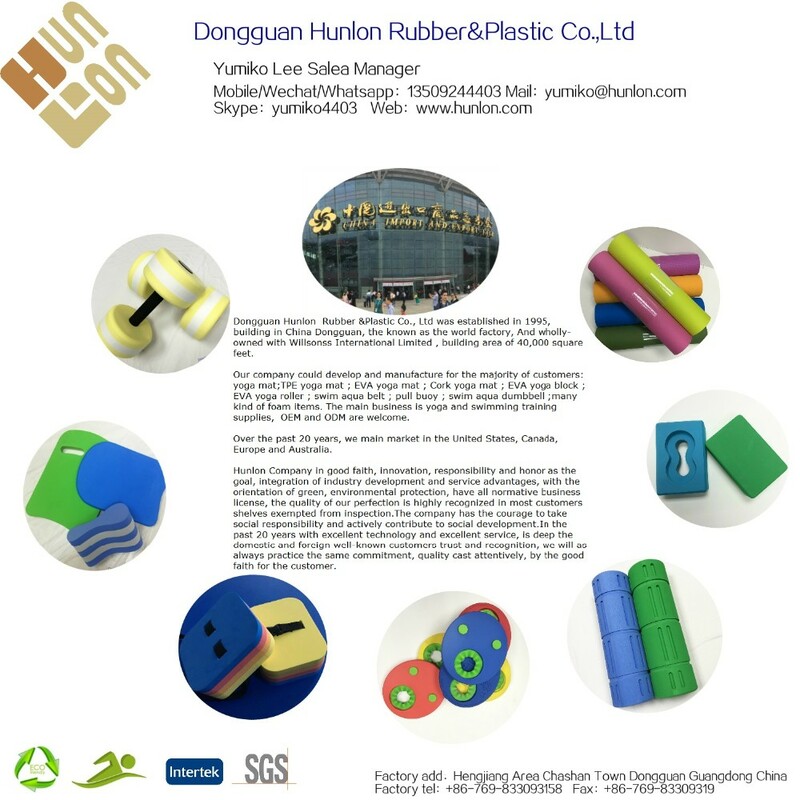 Our sales manager will contact you as soon as possible to confirm the sample mat being sent. 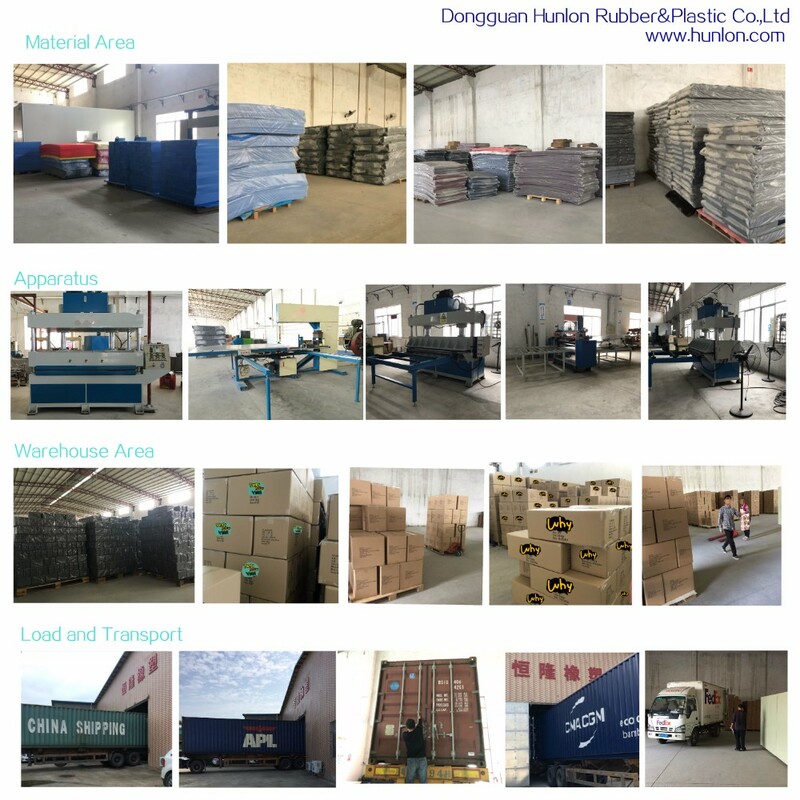 Hunlon Rubber was founded in 1995, and started to development and manufacturing field of EVA yoga blocks and EVA yoga roller in 2000. 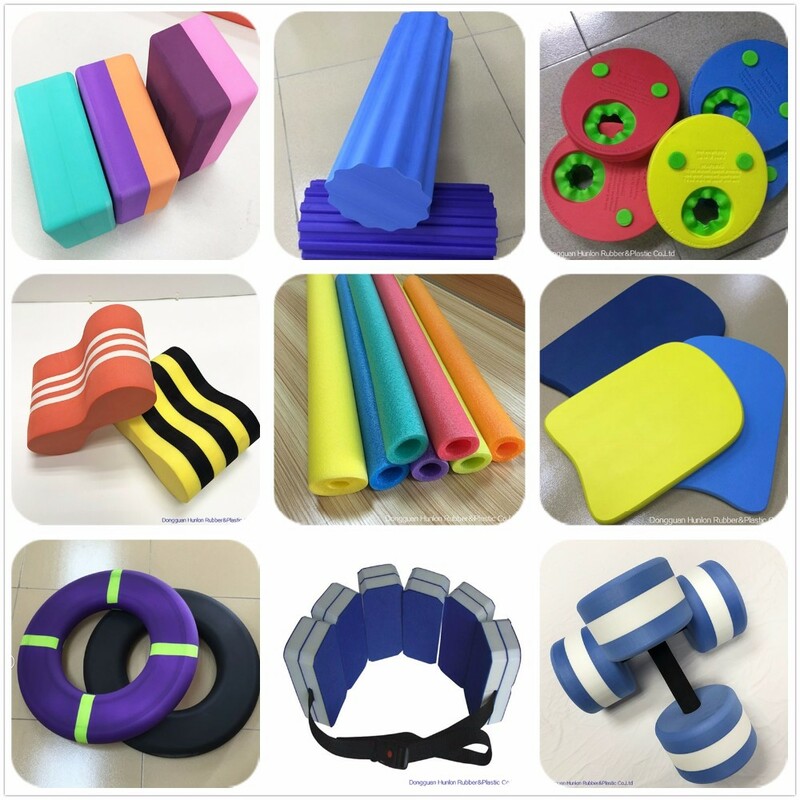 Over the past 20 years, we have gained the recognition and cooperation opportunities of many professional yoga brands in the world. 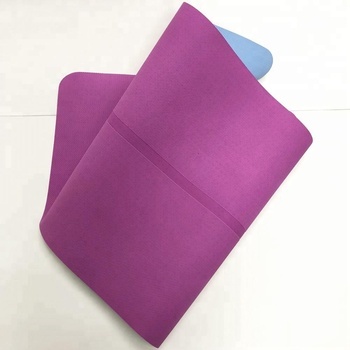 In the cooperation, We find a lot of customer complaints in current market that TPE yoga mat from the non- slide, spring back, tear resistance, tensile, abrasion resistance, stretch and smell difficult to meet the requirement of real yoga practice and health requirements. 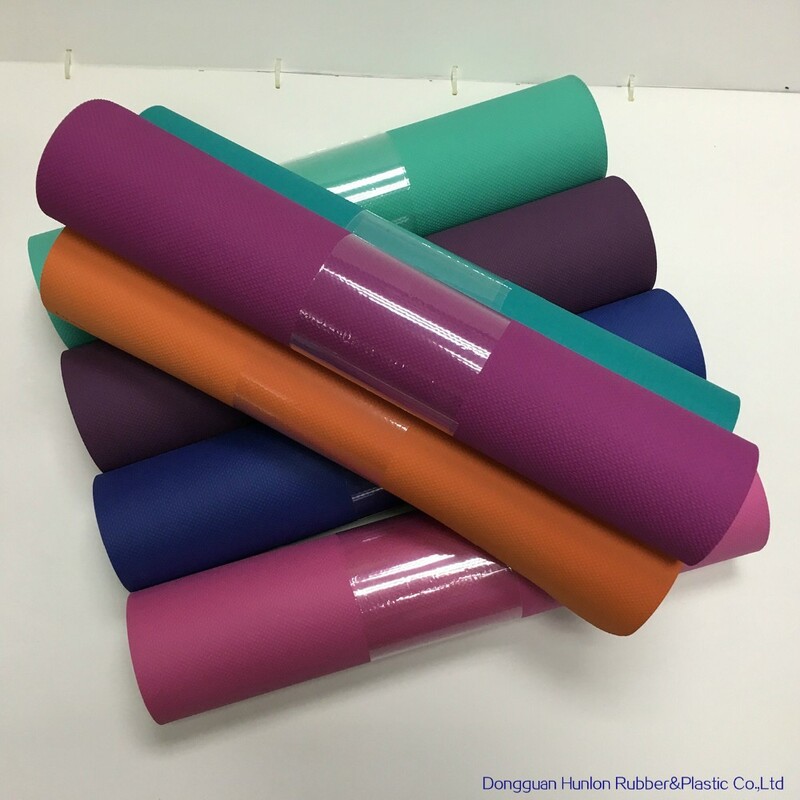 Based on these factors, we has been asking purchasers of professional brands in cooperation to research and develop demands for the user, Hunlon decided to develop our own professional excellent TPE yoga mat. 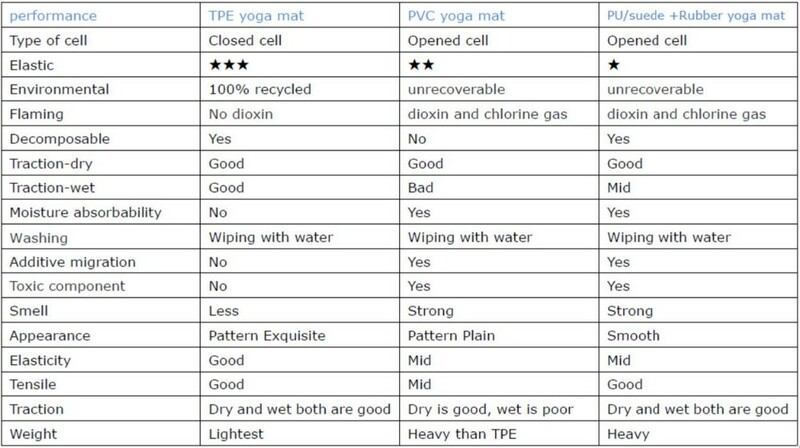 In 2012, we formally entered the field of TPE yoga mat manufacturing. 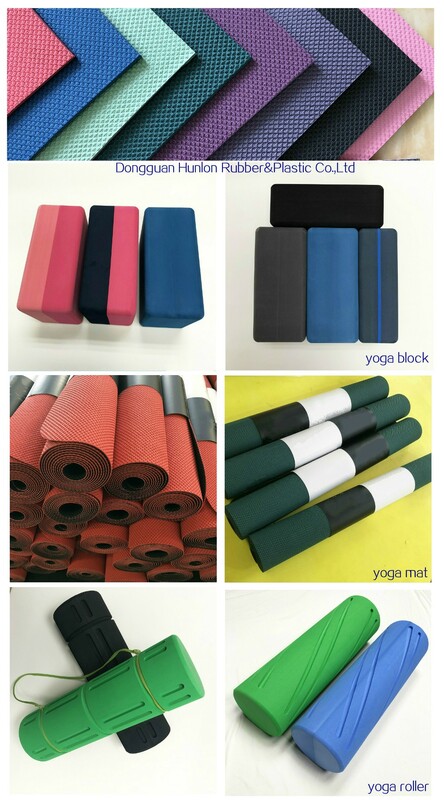 After six years of development, we have the manufacturing scale of professional TPE yoga mat with a monthly capacity of 120000PCS. 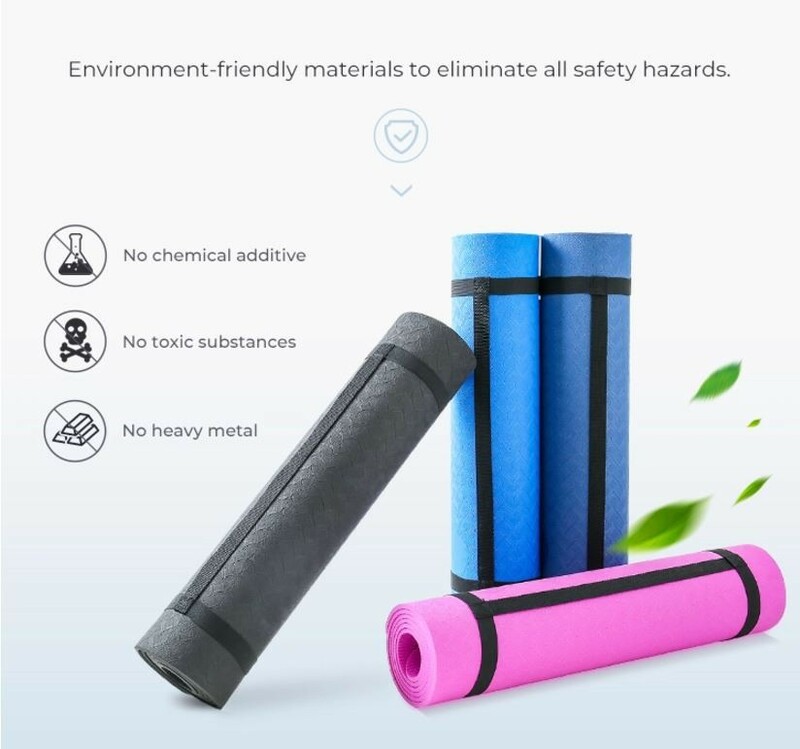 Our TPE yoga mat are excellent on anti-slip,resilience ,anti-tear,tensile, abrasion resistance, stretch and odor are recognized by customers ,and the production scale can accept customer's on-site visit evaluation. 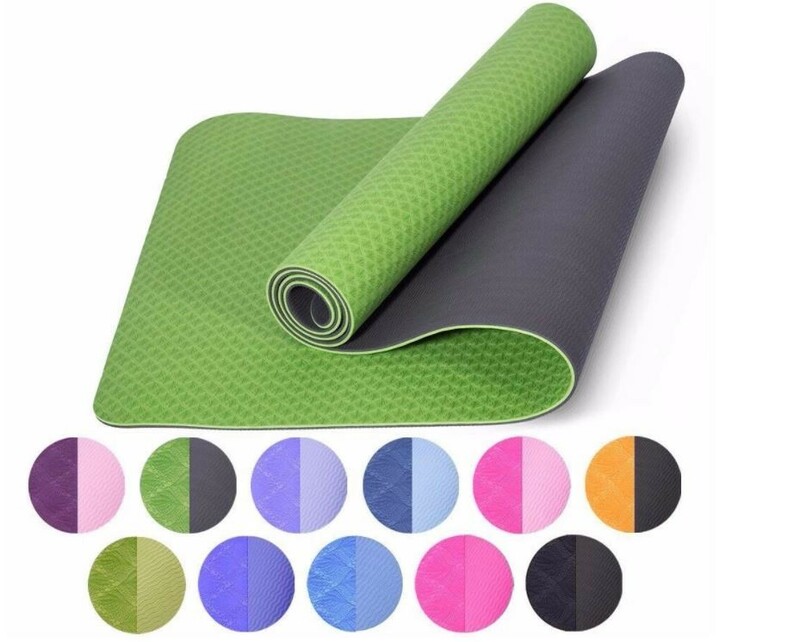 our Professional TPE yoga mat material is composed of natural degradable under ultraviolet light and recyclable TPE composite material, adding polymer solvent-free bonding technology they Non-toxic, tasteless and free of PVC,which can effectively reduce environmental pollution; The middle clamping 18 pound net cloth provides high strength for resisting tearing and stretching ; High resilience,excellent dry and wet anti-skid and grasping properties;The weight of 0.12g/cm3 makes it portable, and the temperature adaptation from -20 degrees low to 65 degrees high and over wide is more favorable for use and storage.Combined with our clear texture of deep and light, it brings excellent abrasion and visual effect, and is waterproof, anti-mildew and easy to clean. 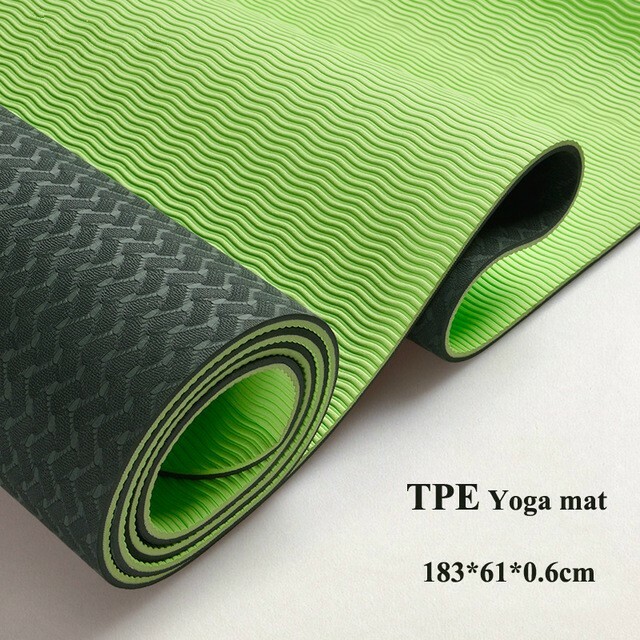 Our TPE yoga mat is manufactured with real TPE raw materials, with delicate hand feel and excellent anti-slip performance.We refuse to use the low-cost raw material of EVA RB imitation TPE in the industry. 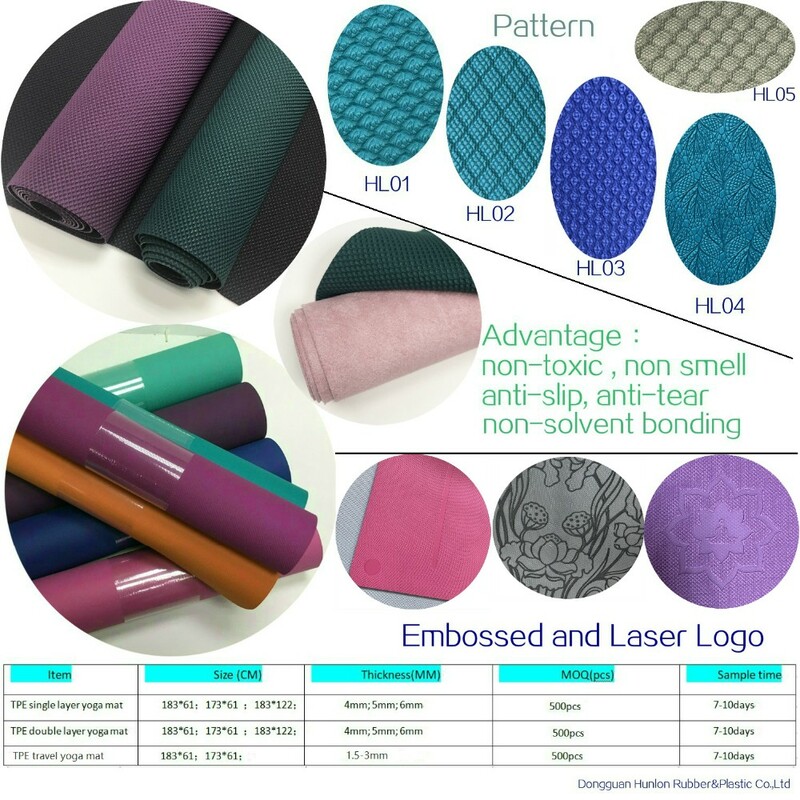 TPE is a odorlessness raw material, which combines our own solvent-free bonding technology to achieve true zero odour, health and safety. Consumers do not need to do any ventilation when they buy back.And any subsequent form of storage and removal do not have any smell. 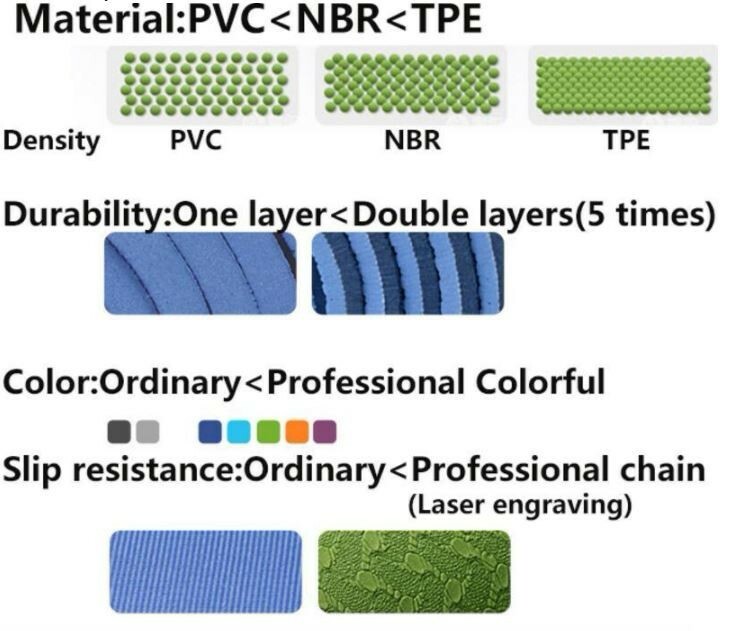 When used and stored in the range allowed by the technical data of the product, our product will not produce any variation, including bonding firmness, texture rebound, oxidation, etc.